Important information - please remember that the value of investments, and any income from them, can fall as well as rise so you could get back less than you invest. If you are unsure of the suitability of an investment for your circumstances please seek advice. Once in a pension, you can't normally access your money until at least age 55 (57 from 2028), up to 25% usually tax free and the rest taxed as income. How do regular savings work? Regular savings allow you to invest on a monthly basis. You can choose to invest in funds, FTSE 350 shares or eligible investment trusts and ETFs. It is possible to set up a direct debit from just £25 a month, making regular savings a popular and affordable way of building an investment portfolio. Saving a set amount each month also removes the need to worry about when to invest a lump sum. By investing on a regular basis, you can increase the likelihood of balancing returns over the long term. It is easy to set up a regular savings instruction in a Stocks and Shares ISA, Fund and Share Account, SIPP (pension) or a Junior Stocks and Shares ISA. Start a direct debit from just £25 a month. Choose from funds, FTSE 350 shares or selected investment trusts and ETFs. Options to amend your investment choices and the amount you invest from month to month. No dealing charges for funds. Dealing commission of just £1.50 per trade for shares and investment trusts. Competitive account charges. 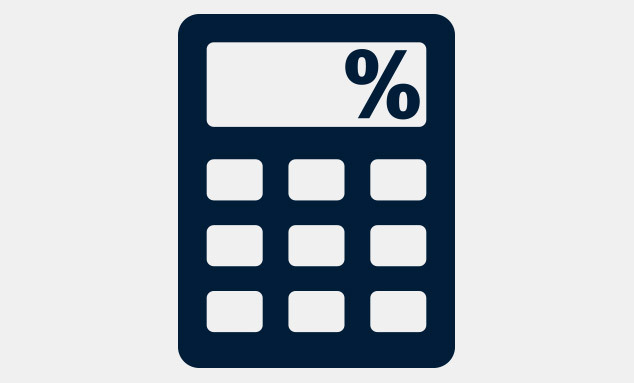 Calculator / How much could your savings be worth in future? Having set up a regular savings plan, you can choose to invest the money each month or simply hold the cash on your account. The following investment ideas are all available for regular savings plans. Master Portfolios are designed to help you get started with investing. You can set up regular savings in a selected portfolio from £125 a month. Choose from five example portfolios depending on your aims and attitude to risk. The Wealth 50 highlights funds with first-class performance potential and low management charges. Set up a regular savings instruction into one or more of our experts’ favourite funds. Turn stock market volatility to your advantage. Equity regular savings are available for FTSE 350 shares or eligible investment trusts and ETFs. Dealing commission of just £1.50 per stock. Please read our Key Features and Terms & Conditions before making an investment. Whether you're investing for the first time, or you're a seasoned investor, the HL Stocks and Shares ISA offers an easy-to-manage, tax-efficient solution giving you access to a wide range of investments and tools. How do I set up regular savings? To set up a regular savings instruction online, you first need to log in to your account and click on an HL account. Click on the 'Monthly savings' tab followed by the link 'Start a regular savings plan in this account now'. Once you have followed this link you will see an 'Add Fund' button which if you select it will provide you with an option to select a fund manager from the drop-down menu. You are also able to setup a regular savings instruction into FTSE 350 stocks and investment trusts. There is no charge for investing into funds. The charge for regular savings into shares and investment trusts is just £1.50 per deal. Once you have selected a fund manager you are then able to select the fund you wish to invest into and the monetary amount. To add another fund you simply need to click on the 'Add Fund' button again and follow the same aforementioned process. Once you have made your selections you should then click on the green 'Next' button at the bottom of the screen, whereby you will be directed to a page where you are able to enter your bank details. Once you have entered your bank details you should again click on the green 'Next' button. This will bring up a confirmation of your monthly savings plan. If you are not yet a client you can open an account and set up a regular savings instruction as part of the application process online. Alternatively, you can open an account and set up regular savings over the telephone with a debit card, or use an application form and cheque, ensuring that you complete the direct debit mandate at the bottom of the form. Before opening an account, please understand the risks and Terms & Conditions (including tariff of charges) of your investment and ensure you have read the Key Features. How do I amend regular savings? It is possible to amend your regular savings instruction online. After logging into your account, please select the relevant HL account (i.e HL Stocks and Shares ISA). Once you have done this, you can view and amend the monthly contributions by selecting the 'Monthly savings' tab and then pressing 'Change'. Alternatively, you can give an instruction over the telephone on 0117 900 9000 (Mon to Thu 8am -7pm; Friday 8am-6pm; Sat 9.30am-12.30pm). The deadline for amending the total amount collected from your bank is no less than 10 working days before the next payment is due to be collected (this is usually the 7th of the month). If you simply want to amend the investments that you invest into, but make no change to the amount to be collected from your bank account, we can accept an online change to your choices up until 11.59pm on the day before the collection is made. Alternatively you can amend your instruction by calling the number above or by sending us a letter. The deadline for amending investment instructions using one of these two methods is 4.30pm on the day before the collection is made. How do I cancel regular savings? You are able to cancel your regular savings by logging into your account. Once you have selected the relevant account, you would need to click on the 'Monthly savings' tab. To stop the direct debit instruction you would need to amend the monthly contribution amount to zero. When is the collection date for regular savings? The direct debit is collected on the 7th of each month (or the next working day if the 7th falls on a weekend). This is a fixed date which cannot currently be changed. If you have given an investment instruction, the money will be invested on the 10th of the month or within three working days thereafter if it’s not possible to invest on the 10th.